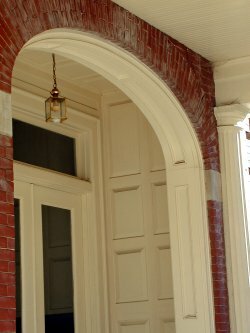 Arched Cased Opening Kit with raised PVC panels. Legacy Products, LLC offers a wide array of architectural millwork. From curved mouldings and pillasters to louvered vents and cupolas, we've got what you need. We offer our millwork in a variety of materials, including cellular PVC, wood, and urethane foam products from Style Solutions.